With the PHP Selector, you have the option of using different versions of the PHP software by using the below methods. Please keep in mind that once you select a version, you can change it, but it will be cpanel account wide, meaning every site you have within this cpanel will be using the version selected. Please see the below instructions on how to access and change your options. 1. Access the PHP Selector. Log into your cPanel account and scroll to the "Software/Services" section of your cPanel home page and click the icon named "Select PHP Version". 2. 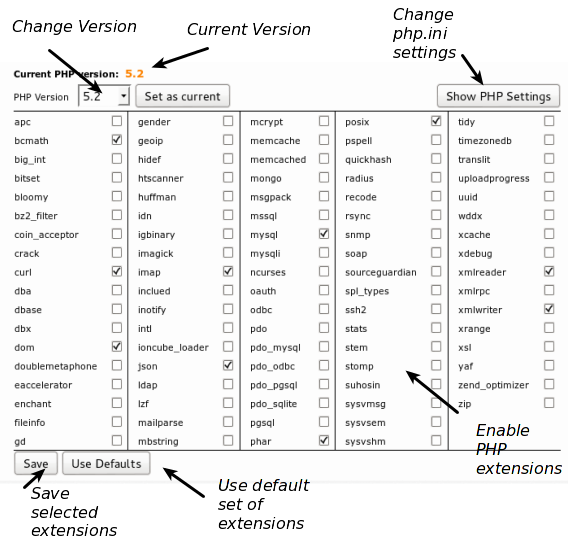 Here is where you will select your version of PHP to use and its extensions to use/install. Click the button on the right FIRST. 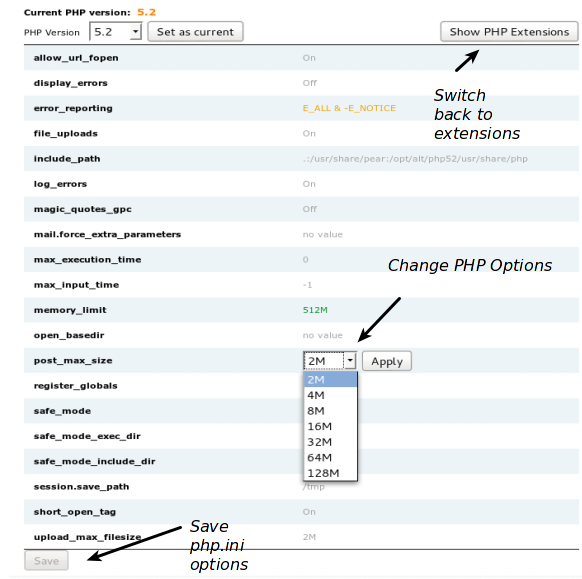 By clicking the button "Show PHP Settings", it toggles back and forth between that and "Show PHP Extensions". Simply click this button first, then select the drop down of the version you want to view to make changes. The same thing below with "Show PHP Extensions"
3. Here is how you select options for your version of PHP that you have selected. The same instructions as above - click the button on the right first, then choose from the drop down menu the version you want to work with or change.